They change the whole nature of your birth chart! Have you ever wondered how it is that people with the same planetary positions in their birth charts still can have such different experiences? That's because at any given time the planets are passing through a sign as well as a house. While the planets deal first and foremost with energies and basic human urges, and the signs reveal the style in which these planetary energies manifest, the houses of the horoscope represent experiences that are actualized in the material realm. In other words, the houses are what super-personalize your birth chart, pointing out which area of life will be most affected by the planets' energies. Your chart is divided into 12 "houses" that each govern specific areas of your life. At the time of your birth, each planet was located in a particular astrological sign and in one of the 12 houses. The location of houses in a birth chart vary from person to person, depending on the time and location of each person's birth. 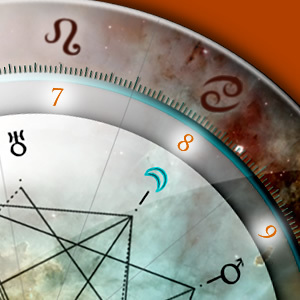 Your birth chart is divided into 12 "houses" which govern specific areas of your life. At the time of your birth, each planet was located in a particular astrological sign and in one of the 12 houses.